The toolkit features the best financing resources and best practices in brownfield redevelopment. Get the latest and greatest information, practices, and reports on a variety of tools. This series delivers case studies, financing expertise, and trending redevelopment topics. Join CDFA, our technical partners, and experienced brownfield communities as we discuss financial strategies that can bring your brownfield projects to new life. Does your community have a brownfield site that needs assistance? 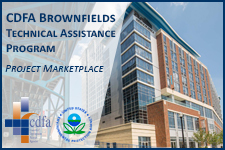 Present your brownfield redevelopment plans to experts at our online and In-person marketplaces that can help communities identify potential resources for their project. Open to all communities. CDFA will conduct two in-person and two online marketplaces each year. A limited number of communities will receive on-site technical assistance from a team of finance and technical experts and CDFA staff. These visits will offer specific, actionable advice that can transform brownfields into economic assets. Communities must participate in a project marketplace to be eligible, and will be selected through an application submission process. Happy Friday all! 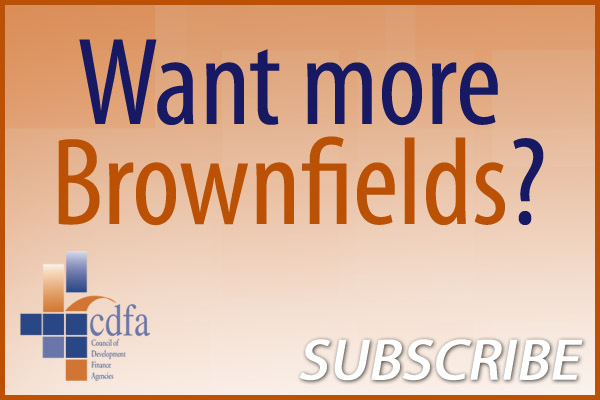 We invite you to follow @CDFA_Update for all #Brownfields updates as we'll be phasing out this account! Thanks!